When the fall season arrives, take the time to examine your vehicle to see if there are any leaks present before the cold air of winter settles. Road Runner Auto Care in Apple Valley can perform pressure tests to see if there are any leaks and examine the vehicle to determine if there are any issues that need to be addressed. It’s important to find and repair leaks as soon as you can before cold weather as freezing temperatures can freeze the fluids that are leaking. 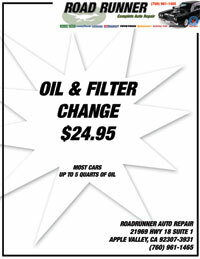 Road Runner Auto Care in Apple Valley can check the brake fluid to ensure that you have brakes when you need to stop while driving. This is an important fluid that needs to be checked because you want the security of being able to come to a stop if you’re driving on snow or ice. Another fluid that Road Runner Auto Care can check is the coolant. The hot weather of the summer can be harsh on the coolant and other cooling system features in the car. If you notice any kind of green fluid under the vehicle or if you see that the vehicle is running hot, then you could be losing antifreeze from the radiator or water pump. If this issue isn’t repaired, then a crack could develop in the head of the motor. Other issues could also arise that would mean more repairs in the future. Pink fluid under the car is usually from the transmission. You want to get the oil checked as well before the winter season arrives. 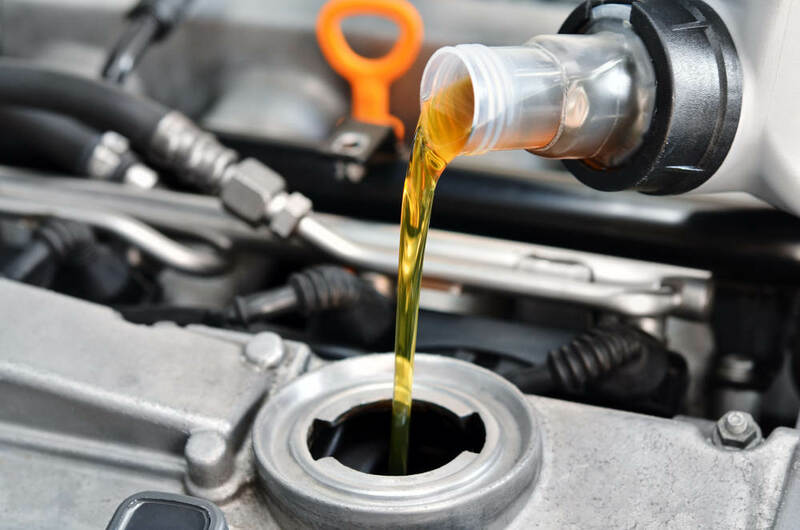 Road Runner Auto Care will often use an oil that is of a different weight than what is used in the summer so that the motor can remain lubricated while you’re driving. An oil leak will usually present as brown fluid under the car.